These are the first words out of my wife’s mouth as I booted Resident Evil 7 Biohazard for the first time. 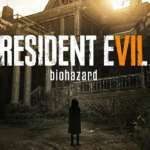 With Resident Evil 7 Biohazard, Capcom attempted to return to its survival horror roots in a VR-ready environment. So, does the trip to Louisiana and your time with the Baker family live up to the bar that Resident Evil fans have raised after the lackluster 5 and 6? The key to any great Resident Evil game is whether it feels like a Resident Evil game. It is the reason a game like Umbrella Corps never worked. Capcom attempted to create a non-Resident Evil game and put it in the universe. It just doesn’t work with this franchise. The ambiance is one of the places where Resident Evil 7 Biohazard excels. It doesn’t matter if you’re in the basement of the main house, crawling through bugs in the old house, or climbing a rickety ladder in the greenhouse, you know you are in a Resident Evil game. Capcom really turned up the intensity compared to the last couple of main games in the series. The variety of monsters is not great, but they are properly utilized in the situations where they are used. The sense of anticipation of turning a corner and not knowing what will be upon you is where Resident Evil 7 Biohazard is strongest. And to an extent, the fact the game is in first-person magnifies that. The first-person mode also hurts the game. As a person who is a fan of the series and has played many of them, being in first-person can pull you out of the moment to moment action. It also had an impact in how the gunplay is perceived. As a person who has put a few hours into the FPS genre, trying to use the guns can be jarring as my brain expected the kind of reaction and sensitivity I experience in modern shooters. Now, Resident Evil is not known for its gunplay, but Capcom really reined in on the survival horror aspects, so a few missed shots with the expanded ammo is a big loss in the grand scheme of things. Overall, Resident Evil 7 Biohazard is a solid return its franchise roots. I definitely recommend this for fans of the series as well as the survivor horror fan. That said, the game feels hampered by the need to also allow gameplay in Virtual Reality. The game also isn’t as long as I would have expected, but it is compact, leading to a rise in the intensity of the game. 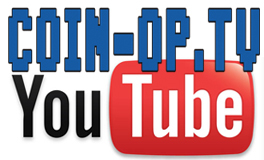 BRIAN BENTLEY is COIN-OP TV’s features writer/contributor. Brian hails from Chicago but now resides in Cincinnati, Ohio. He’s a huge fan of RPGs and especially loves Japanese RPGs. Brian has been writing about video games since 2009 and is proud that his wife enjoys the industry as well! When Brian needs a break from the console he enjoys playing board games and the classic ‘Adventure’ on the Atari 2600 is still one of his favorite games of all time!